Are you a Grooveshark music fan? How about dressing up your desktop with cool grudge look Grooveshark wallpapers? Incase sharing Grooveshark music with facebook friends and blog users is too much of ask, download few wallpapers should be real easy. 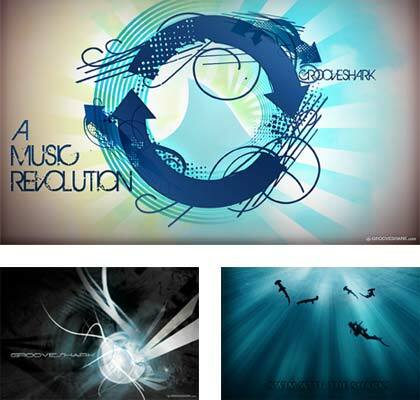 Checkout some cool looking Grooveshark wallpapers available in different resolutions for standard and widescreen monitor. Download and dress up desktop with your favorite one.